You are currently browsing the category archive for the ‘fabric’ category. Retro, vintage, or fashionably nostalgic, Riley Blake has brought the Chic to Geek with old school records, cassettes, and TV’s. 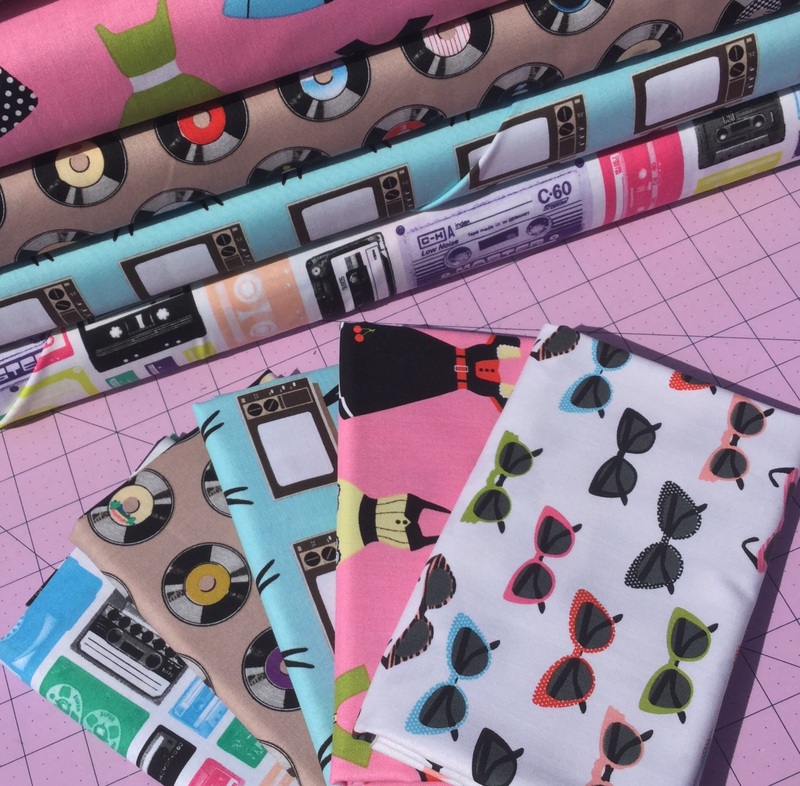 I thought we’d revisit these shop favorites at SewMod and add a few of their newest novelties to the mix. Cat eye sunglasses and 50’s style dresses have me swooning. 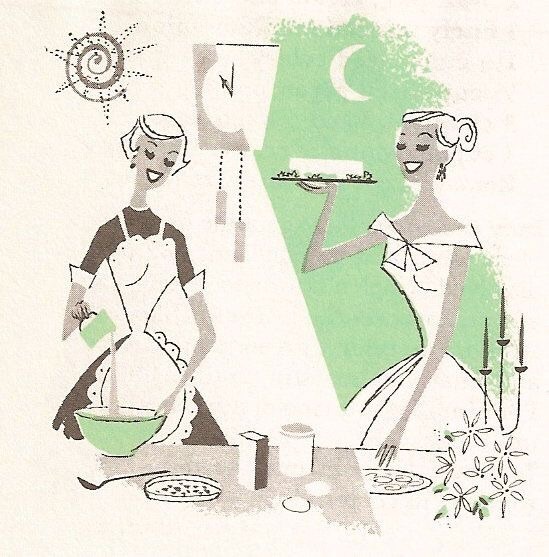 I have this romanticized vision of what it would be like to buy Pyrex for my robin’s egg blue kitchen, do all my household chores in a dress and heels, and bake cakes all day. If you’re having a tough time visualizing what modern projects can be made with the retro prints, let’s see if I can help. 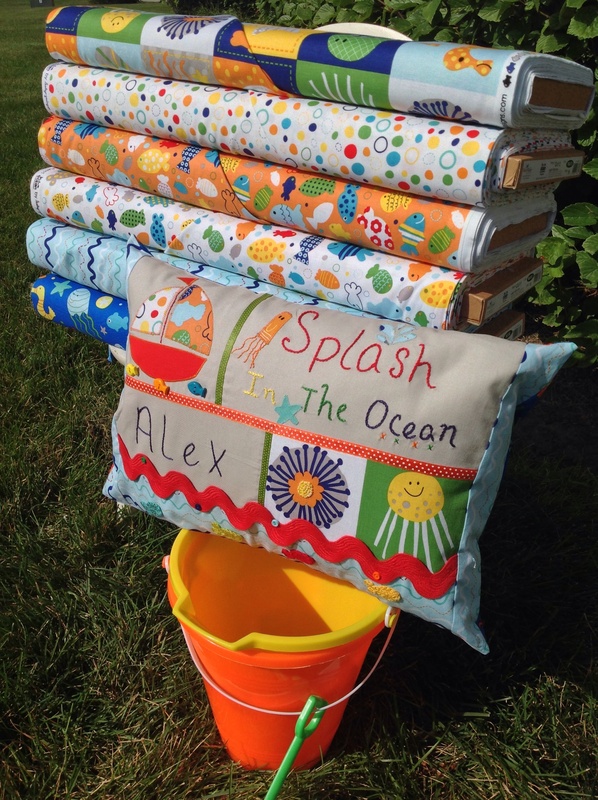 How about picking two and making some Gum Drop Pillows for someone heading to college? They’d be cute in a dorm room! Maybe a few fabric baskets? 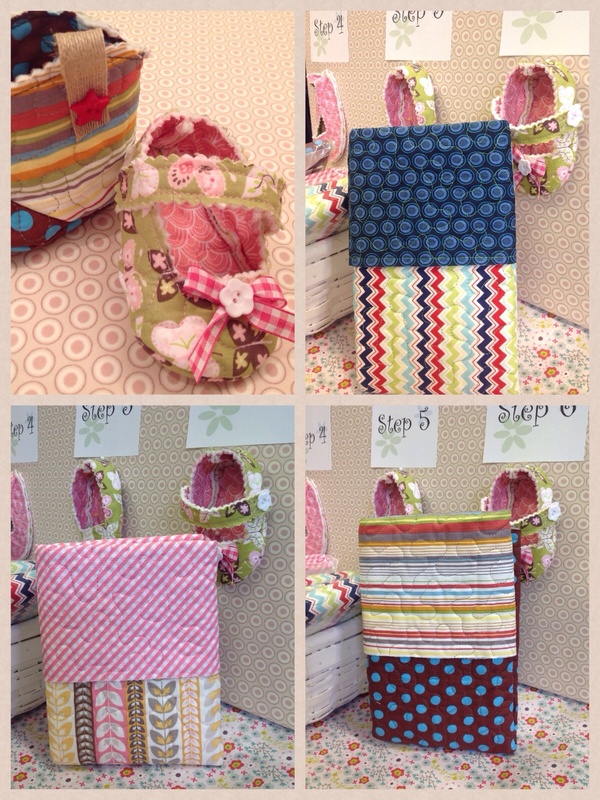 Here is a free tutorial from Birch Fabrics. 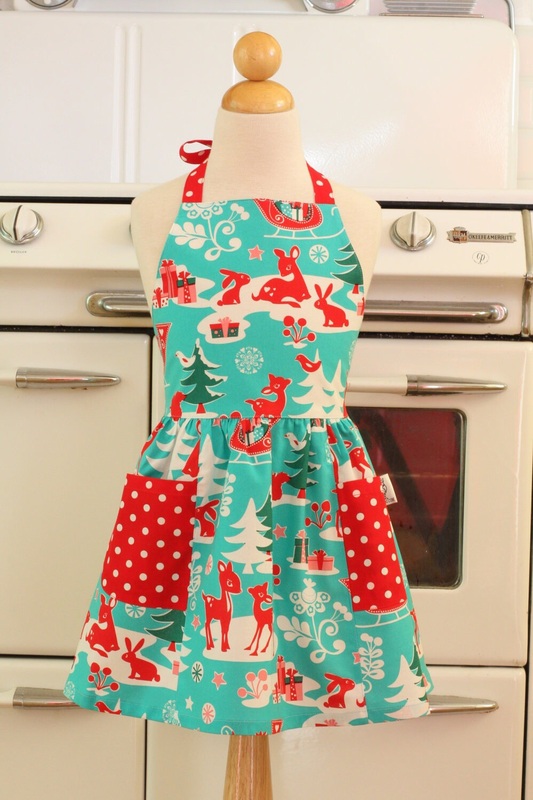 Or a cute apron, like the one from the Etsy shop Boojiboo will have you baking sweet treats for your love in no time! 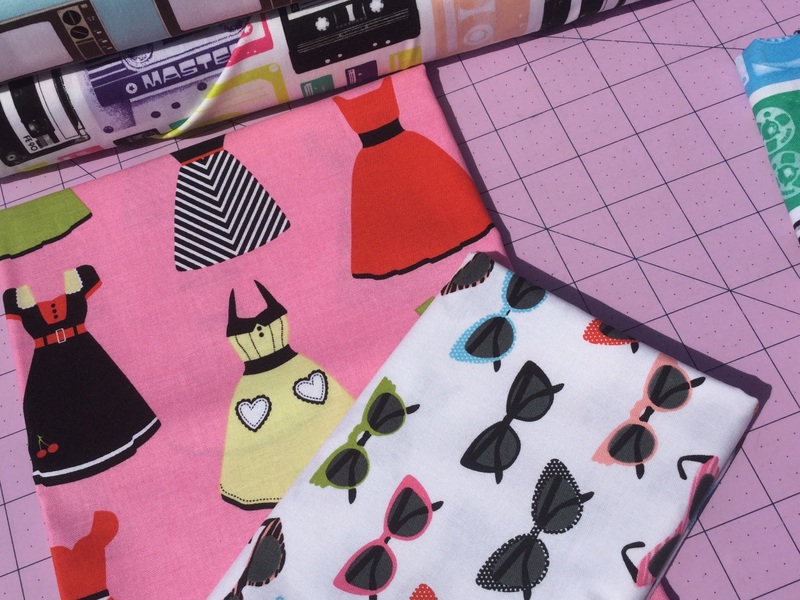 Visit SewModDesigns for more patterns, project ideas and all of the retro Riley Blake fabrics! 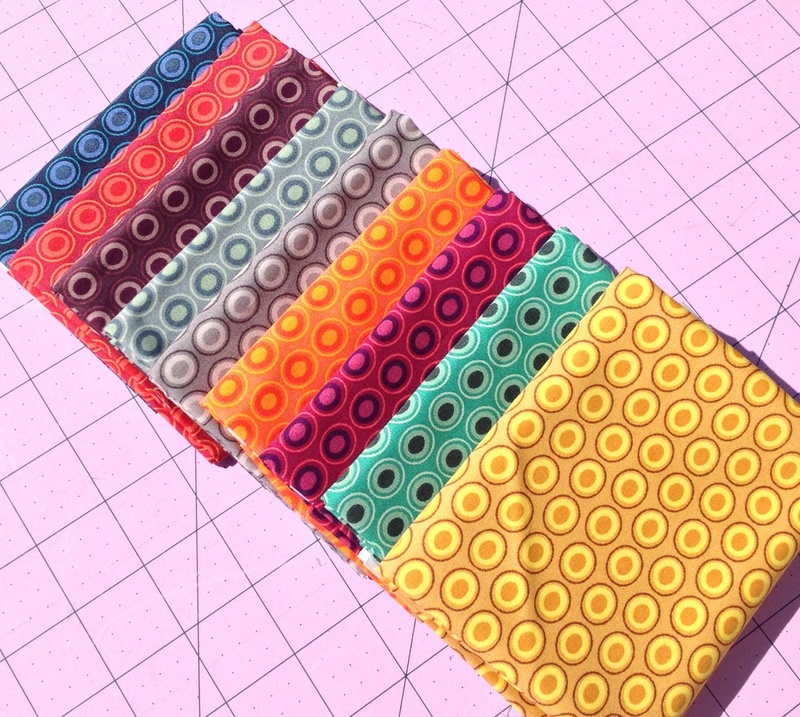 The SewMod inventory sale is winding down. Don’t miss out on all the great savings going on in the shop! 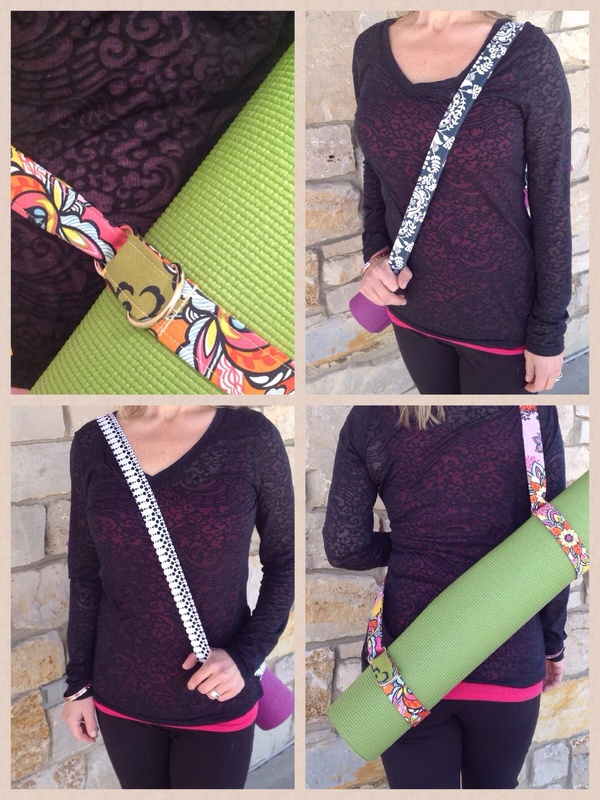 Help us make room for new ideas and fabric! We’re having an Inventory Reduction Sale! 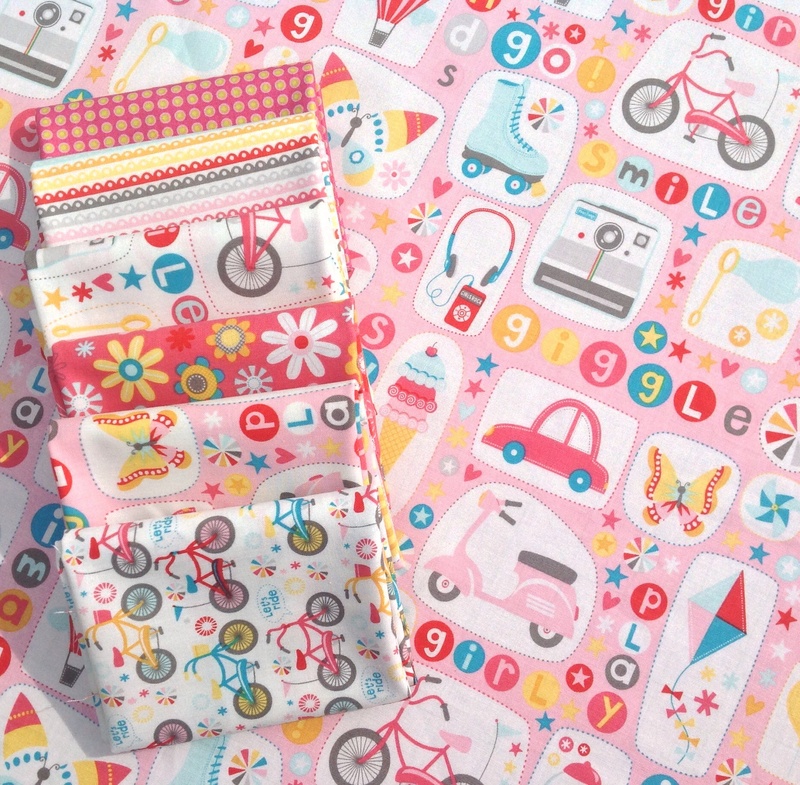 All fabrics, kits, and supplies on sale including the new arrivals! New arrivals are 20% off.  All other fabrics are $6/yard. 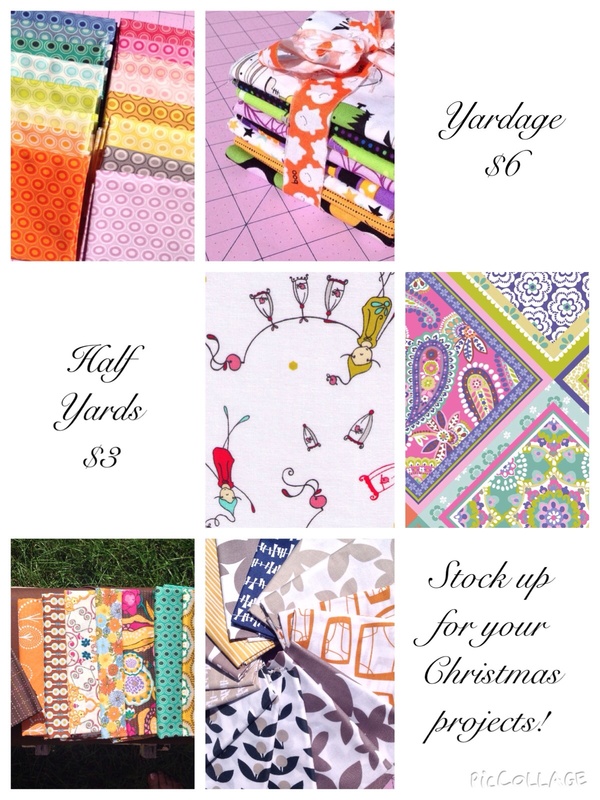 Half yards $3. 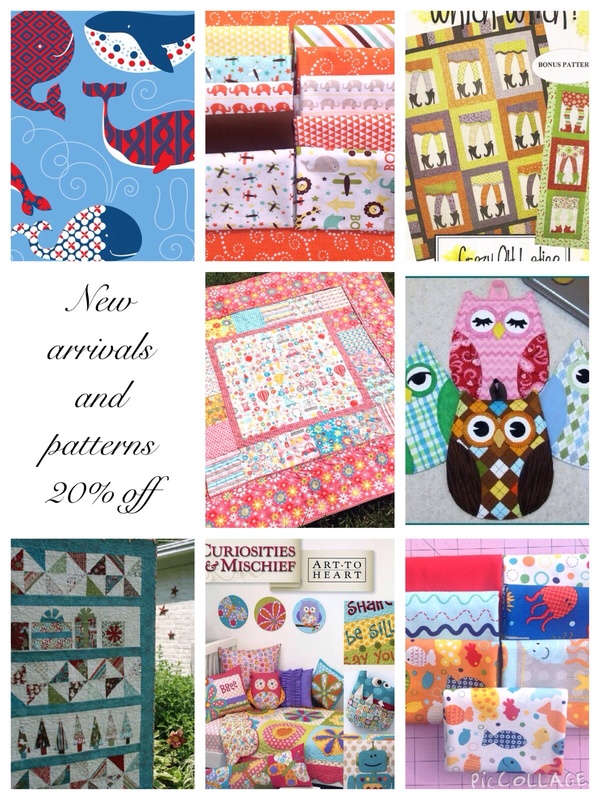 Patterns & books 20% off. Select kits are up to 1/2 off. Art To Heart Curiosities & Mischief Check out that adorable butterfly pillow! 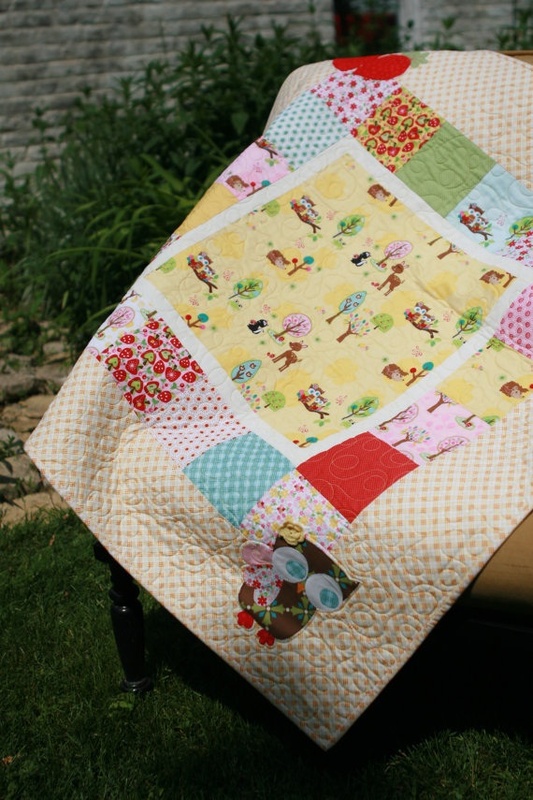 Little Quilts 4 Little Kids by Heather Mulder Peterson is a book featuring 10 fun quilt patterns for babies on up. 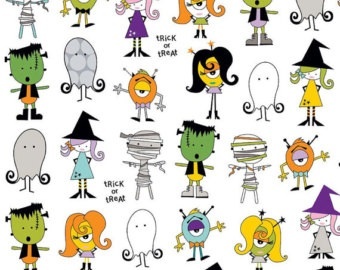 It contains a range of skill levels as well as traditional to modern styles. 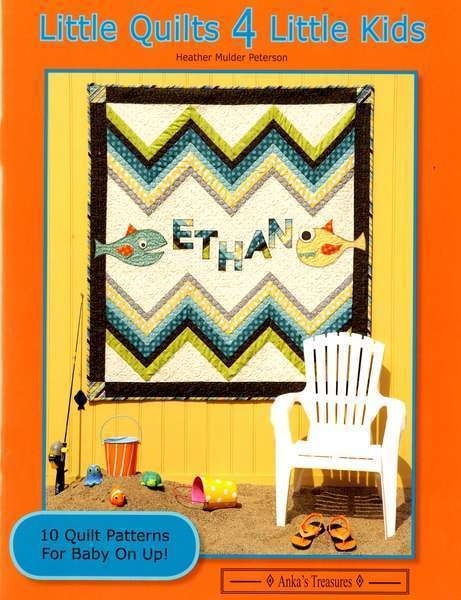 Visit Heathers blog to see all the photos of the boy quilts and girl quilts that are in this book. Oh Boy! 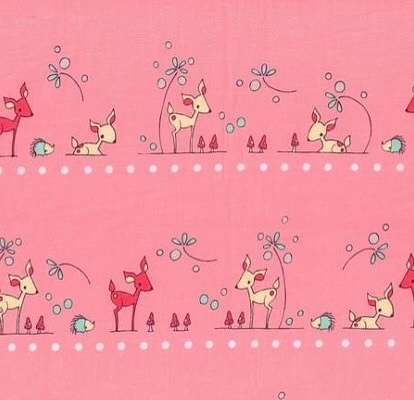 From Riley Blake has arrived and it’s adorable! Kona in Lipstick is back in stock! Radio Way Radio Way is a great project to use pre-cut 2-1/2in strips. 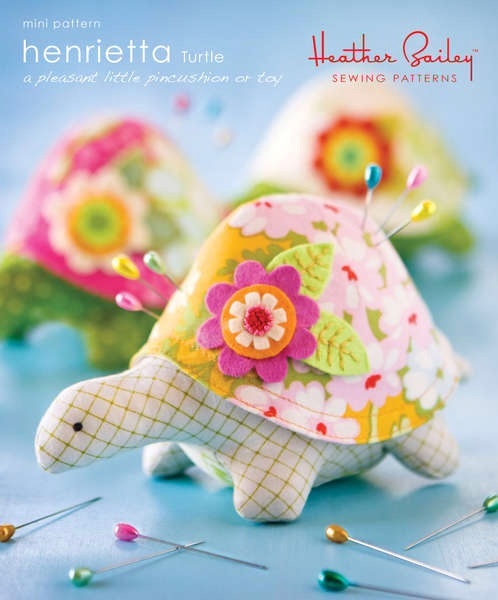 And Henrietta Turtle Make a new friend in Henrietta turtle (or skip the flower corsage and make a Henry Turtle). 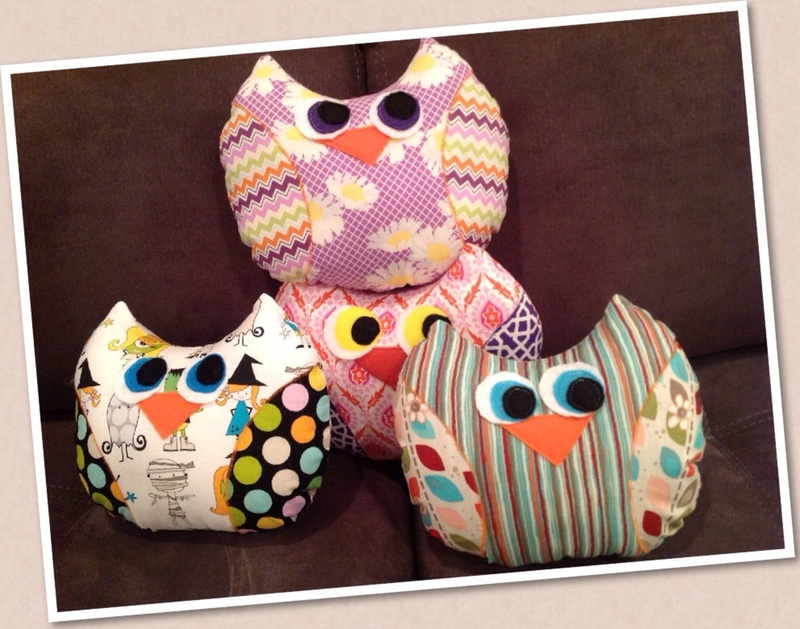 Henrietta will gladly house your pins & needles or entertain your baby or pet – but not at the same time! 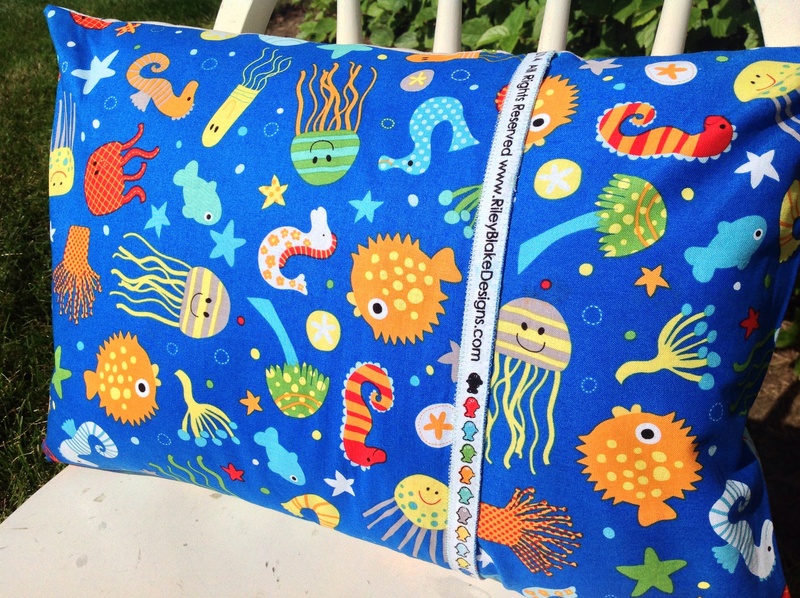 SpongeBob SquarePants ain’t got nothin’ on the cute sea creatures featured on Riley Blake’s newest fabric line. Dive ‘In The Ocean‘ to find octopus, squid, sea horses and schools of colorful fishes. 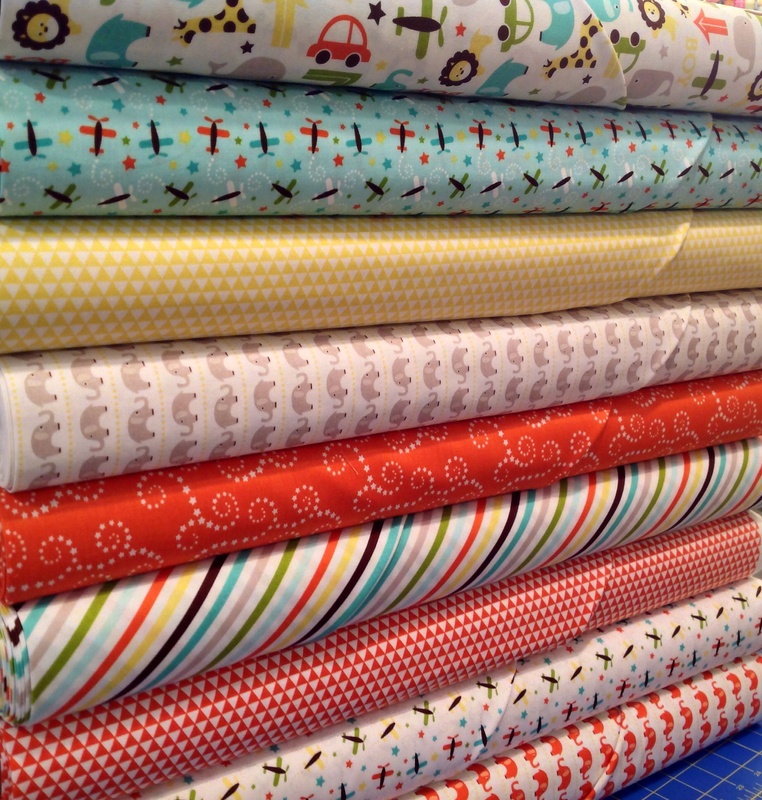 When a new fabric line arrives, the first thing I ask myself is…“What can I make with this?”…besides a quilt? 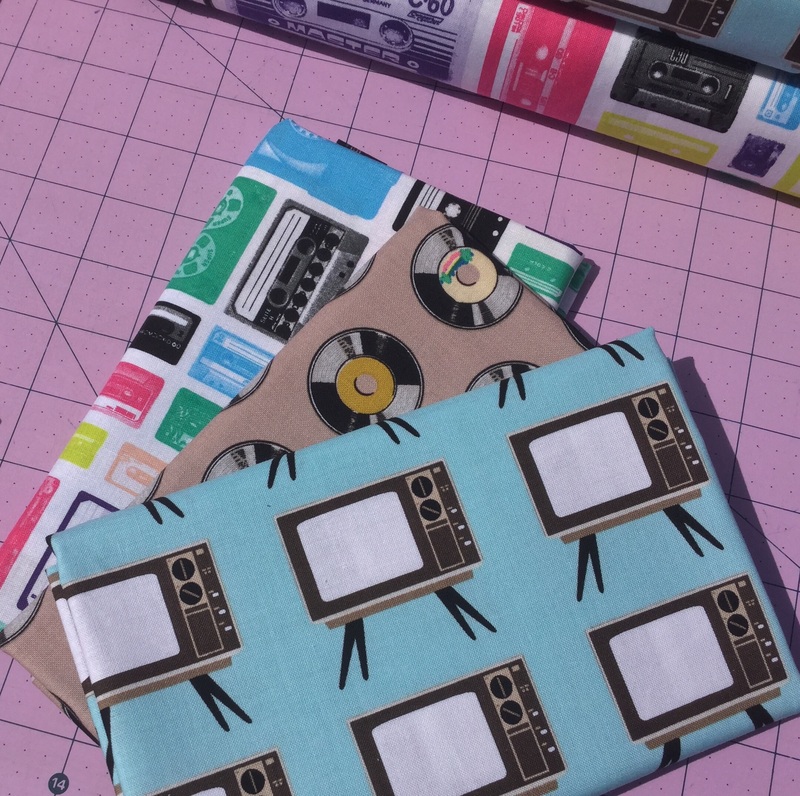 I think we all like different options when it comes to sewing, whether it’s making bags, skirts, or gifties for the special ones in our lives. 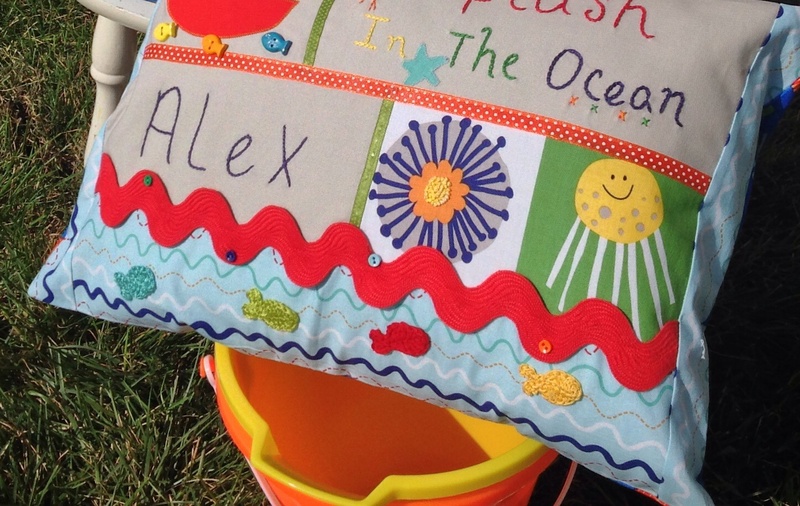 So I chose to make a cute accent pillow for a baby’s room! I like projects that I can embellish and use different techniques like appliqué & embroidery. 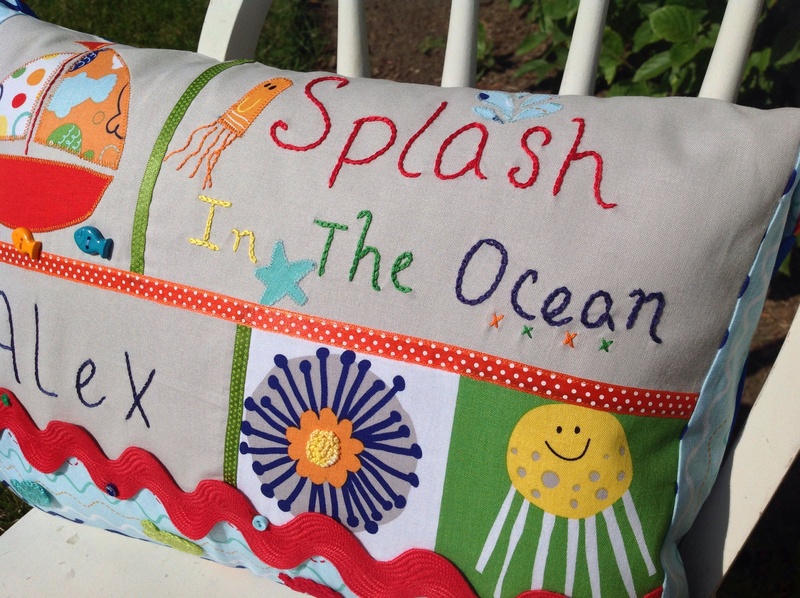 A chain stitch for the Splash really made the words ‘pop’ and adding the accent French knots to the anemone gave that some extra dimension too. Part of the fun of embellishing is searching for the trims and buttons. I came across tiny fish buttons and dug around my scraps for the ribbon. I even had some leftover Riley Blake jumbo red rick rack! Don’t throw those extra scrap pieces away. You might be able to use them on your own pillow! And check out those little fishes swimming through the ocean stripes. My mom is the crochet artist in the family, so we have to thank her for that bit of cuteness! I couldn’t forget the back of the pillow. It deserves something just as special. I fussy cut the selvage since the fishes were representing the color codes. 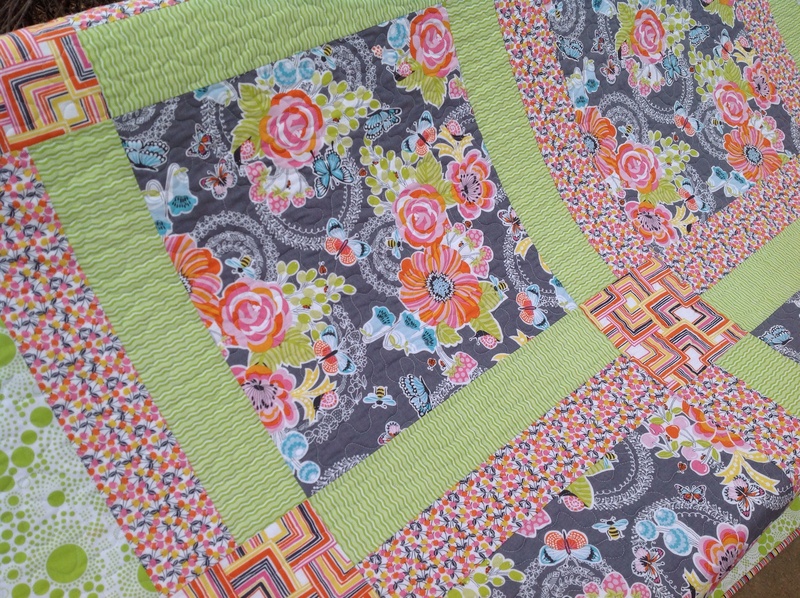 A simple zig zag to tack it down and now it’s done! After I finish something, I can’t wait to show it off. I didn’t hear..”It’s adorable”, or “That’s so cute”. The first thing I heard was…Who’s Alex?!? Lol I don’t know who Alex is! I just needed a shop sample and we have no babies so Alex was a name I came up with! 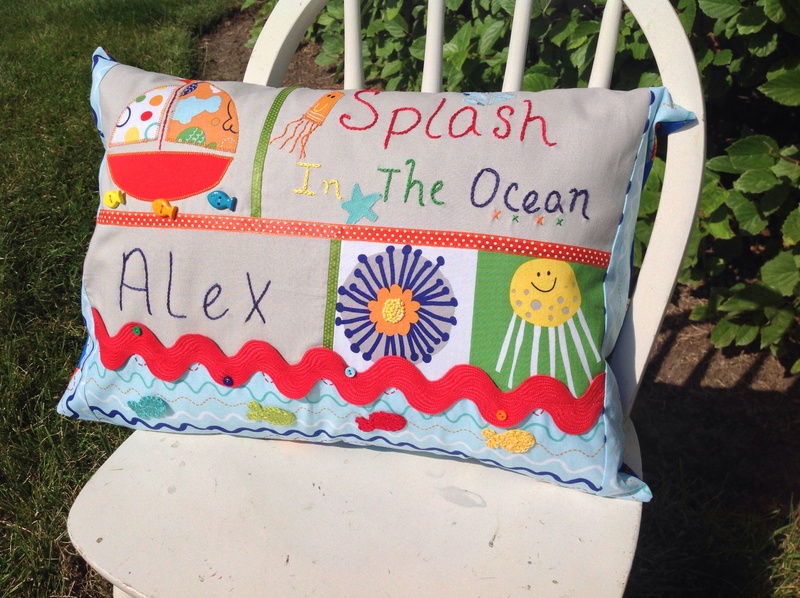 Does anyone need an Alex baby pillow?…..
You can find all of these ‘In The Ocean’ fabrics and many of the newer baby lines in the SewModDesigns Etsy shop! I promise this is my last post on Glimma. I just want to let y’all know that the cupboards looking pretty bare! Sadly but gladly, we’re almost sold out of the Glimma. 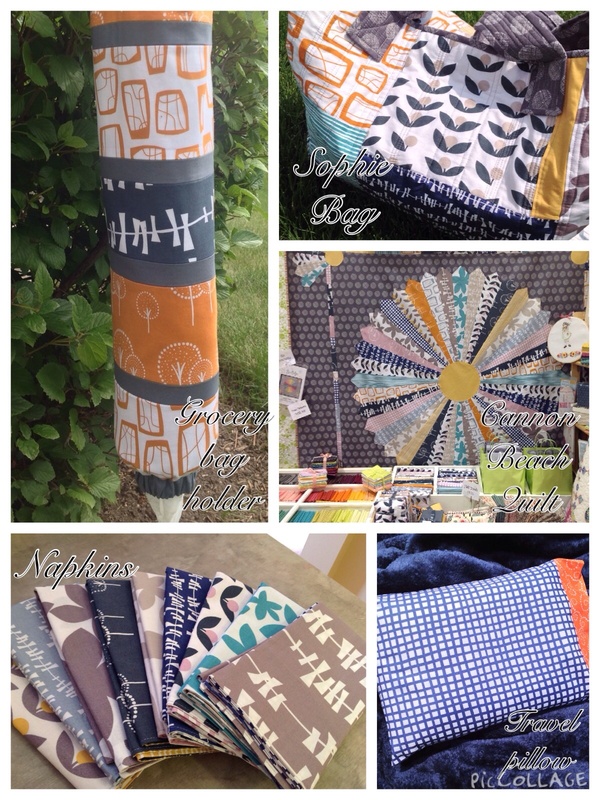 I don’t think I’ve ever had so much fun and made so many projects from one fabric line! 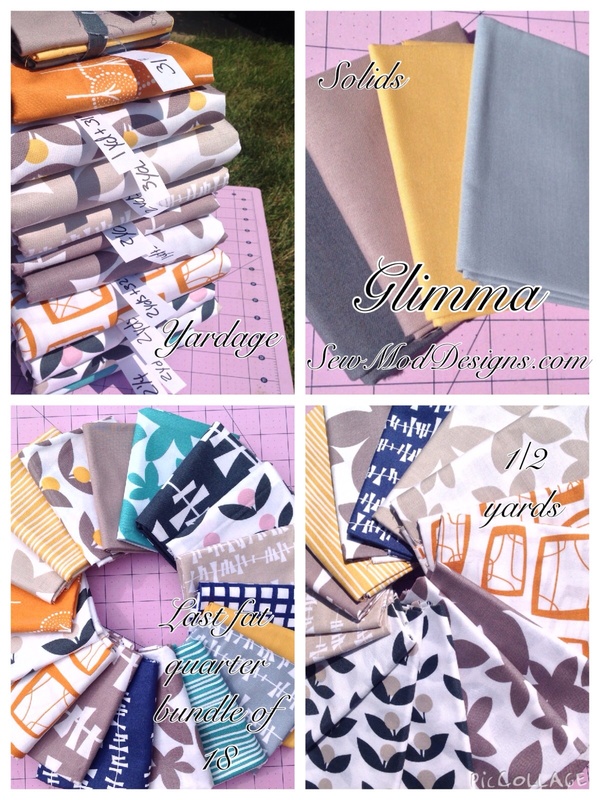 Just think of all the fun you’ll have with your Glimma! True Blue is designed by Ana Davis. I just love her children’s prints and Blend never, never disappoints me in the quality of their fabrics. I’ve loved every piece I’ve ever ordered from them and this is no exception! True Blue is vibrant and fun to work with. 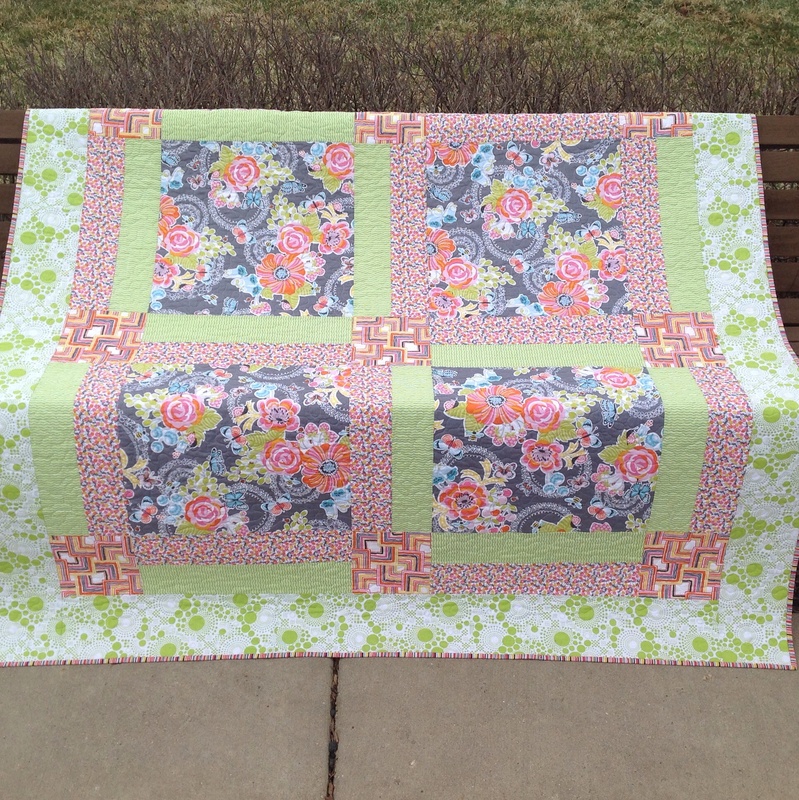 I knew I wanted to do a strip quilt with this line. 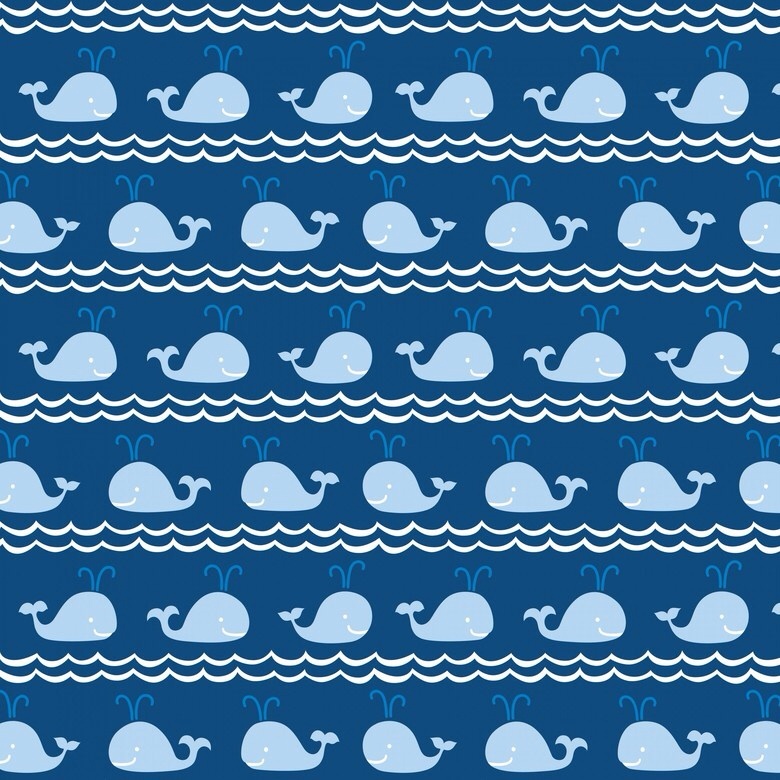 It’s perfect with the big playful whales and the baby whales in a row! 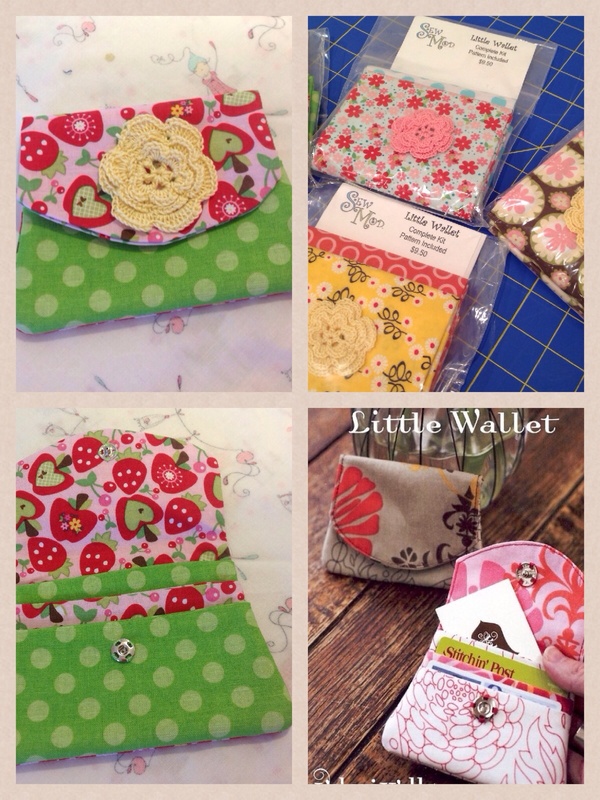 The kit is available in the Etsy shop. 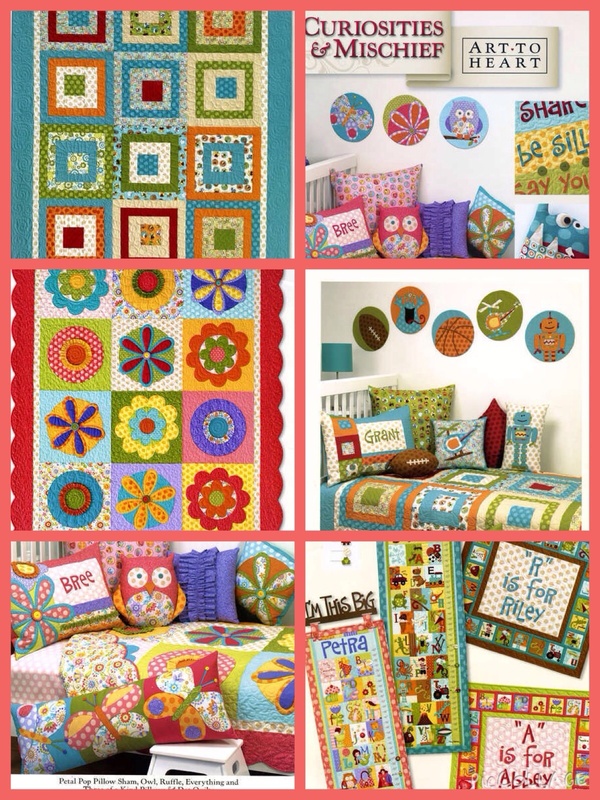 It includes step-by-step instructions to strip piece the quilt in no time for that special little one. 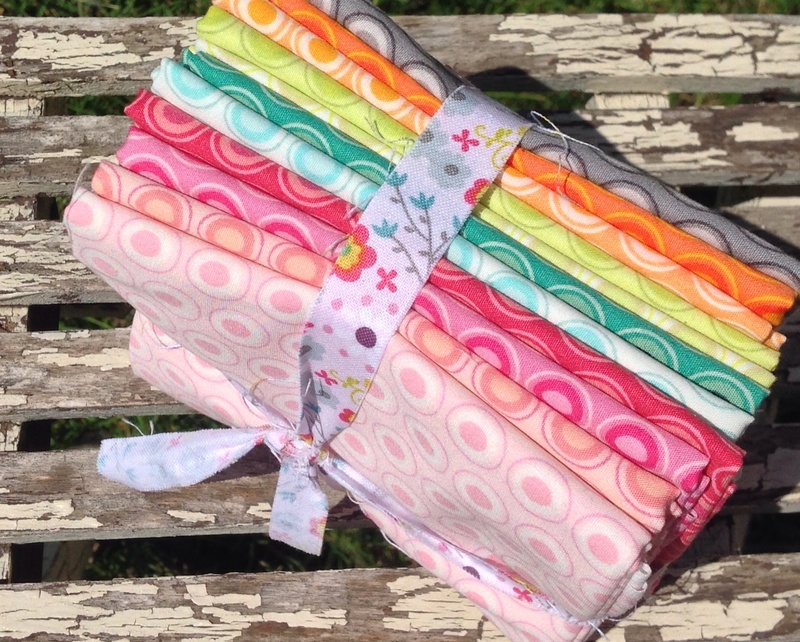 Kit includes all your fabrics, binding and backing, and sews up fast for a baby shower or gift. 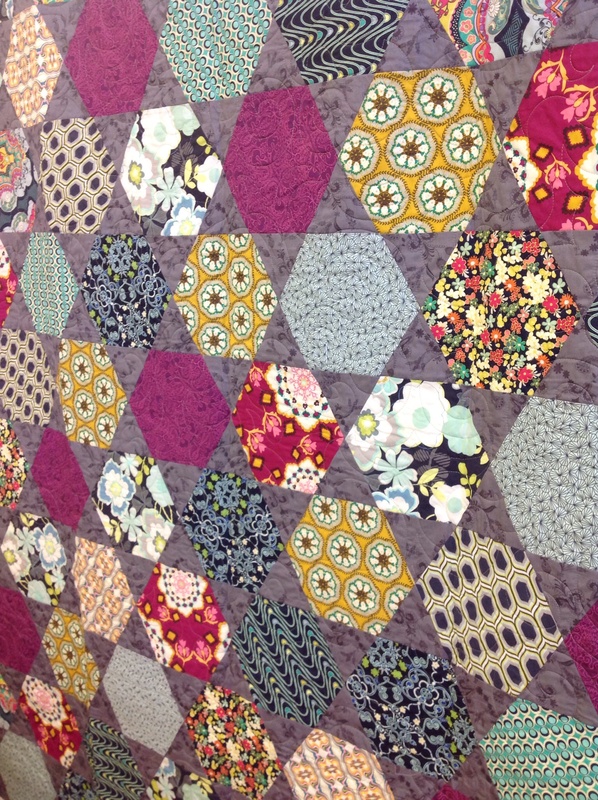 You can easily quilt with straight lines. It’s a DIY complete project! *batting not included. 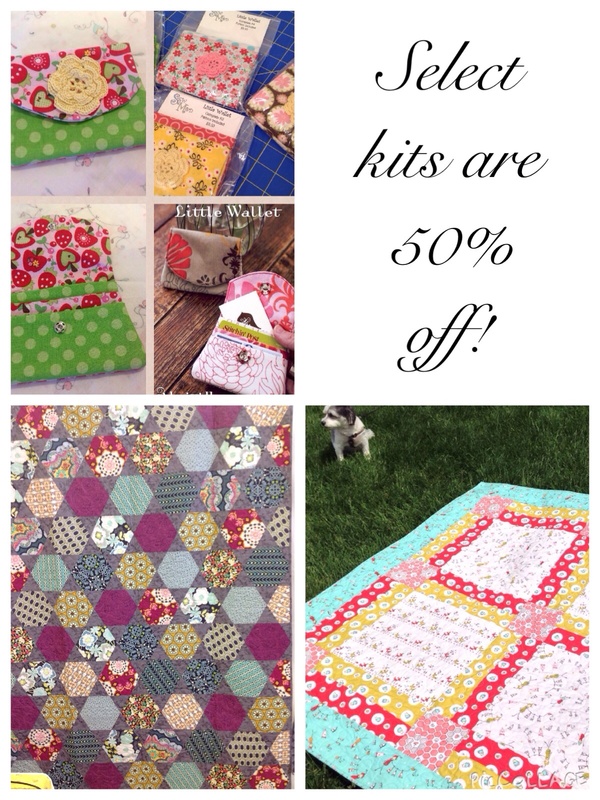 And I have some helpful tips for you if you’ve purchased the kit and are ready to start on your baby quilt. 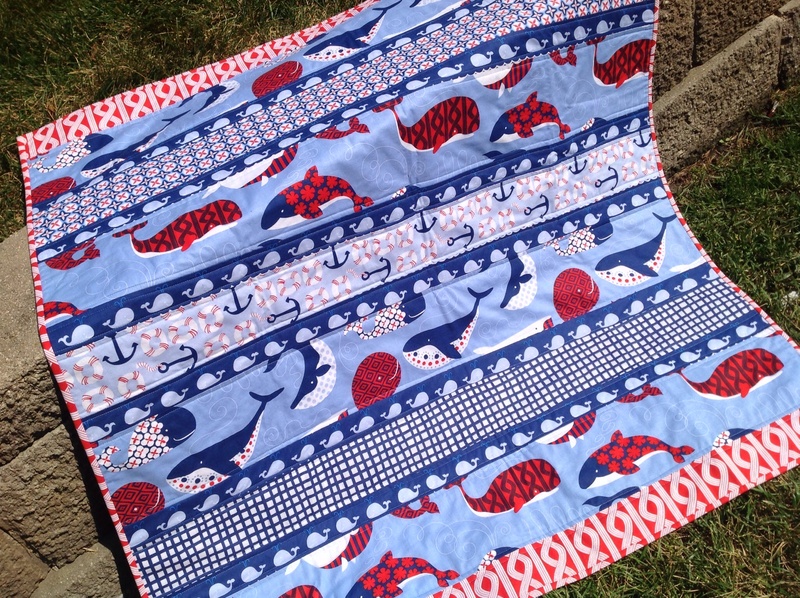 I fussy cut the baby whales to make this quilt, but it wasn’t any trouble to do so since the fabric was printed really straight to begin with. 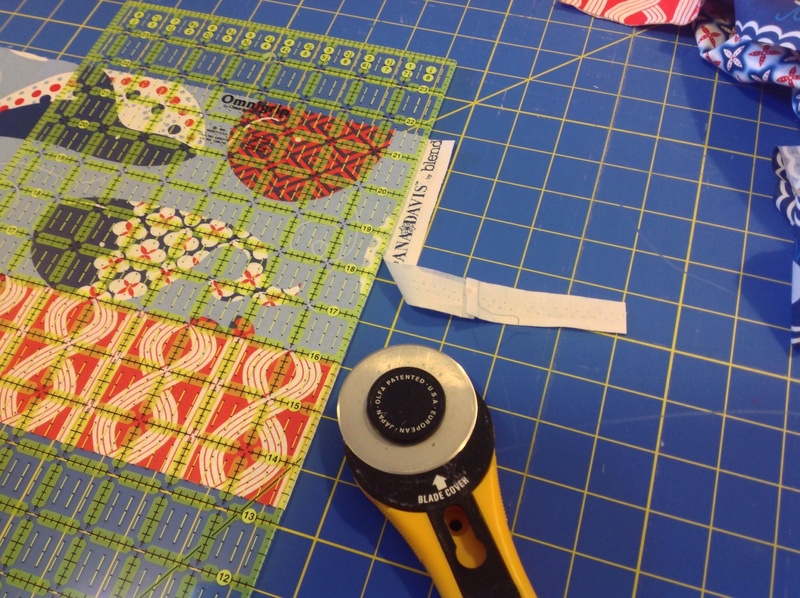 Straighten the edge of your fabric so that the ‘white wave’ is on the cut. Line your ruler up for the 2 inches. The white wave that’s next in line should fall somewhere on that 2 inches. As you can see in the photo, my ruler lined up between the waves. 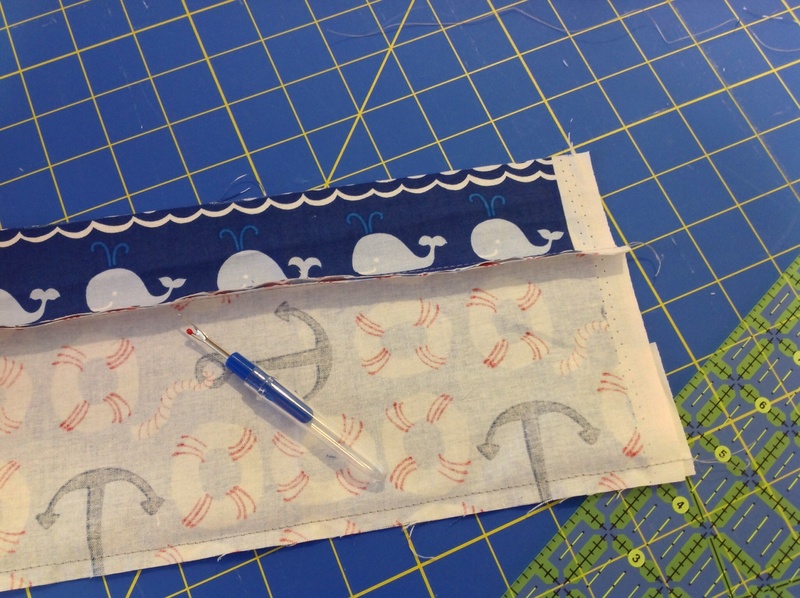 Cut your strip out and attach to the selected fabrics, taking note of the whale directions. They swim opposite each other! After all these years sewing, I make the most basic mistakes:( Am I the only one out there that still does this?!? The seam ripper is my best friend..
Sew the strips together in pairs and trim the edges. *When sewing rows, alternate your sewing direction right to left and left to right. Alternating will keep rows straight and help prevent stretching in one direction. I hope you have as much fun making this as I did! 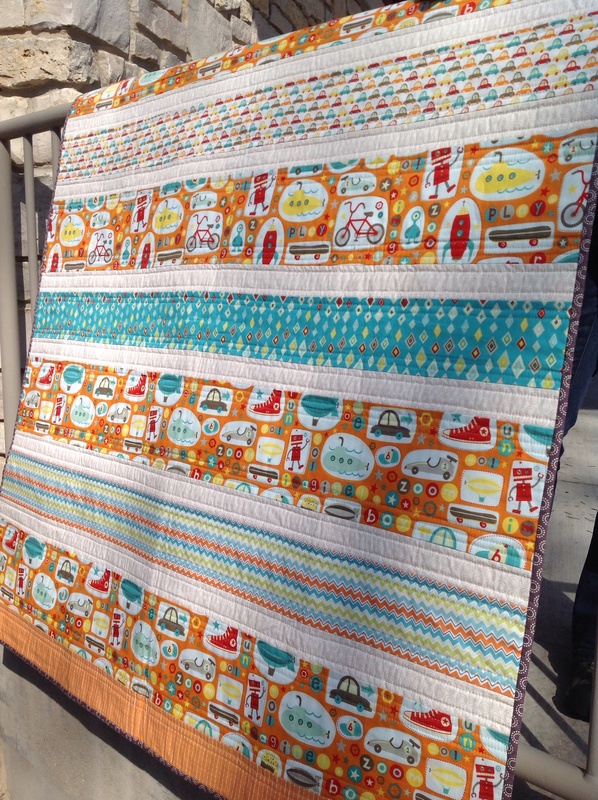 And if you have anymore questions about the True Blue baby quilt, don’t hesitate to ask. I’m happy to help! 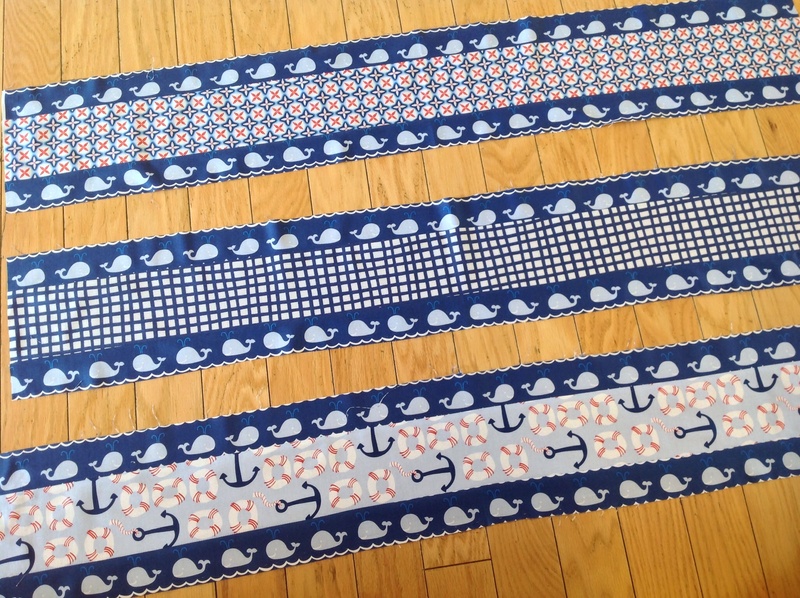 Here’s a line that just arrived in the shop called True Blue by designer Ana Davis for Blend Fabrics. 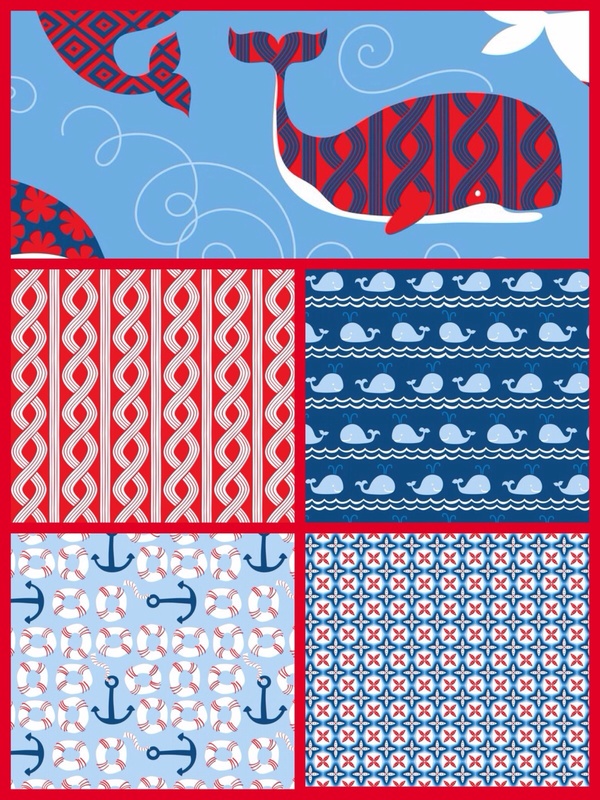 A collection featuring whimsical whales, splashing waves and fun geometrics in preppy navy & red color palettes. 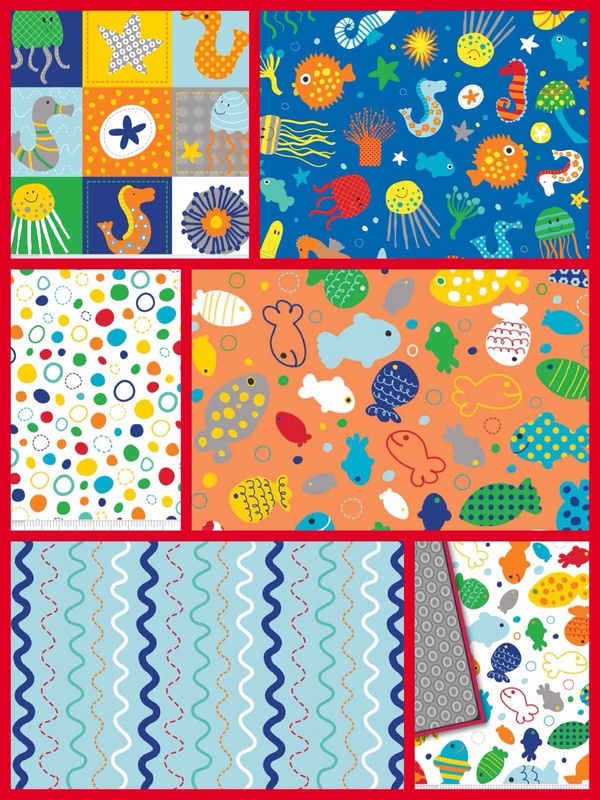 These underwater inspired designs are perfect for quilting, children’s clothing and so much more. Shipping to us very soon is Girl Crazy from Riley Blake. Everything a girl loves, including skates, balloons, ice cream and of course, my favorite,..bikes! And Oh Boy by Lori Whitlock. 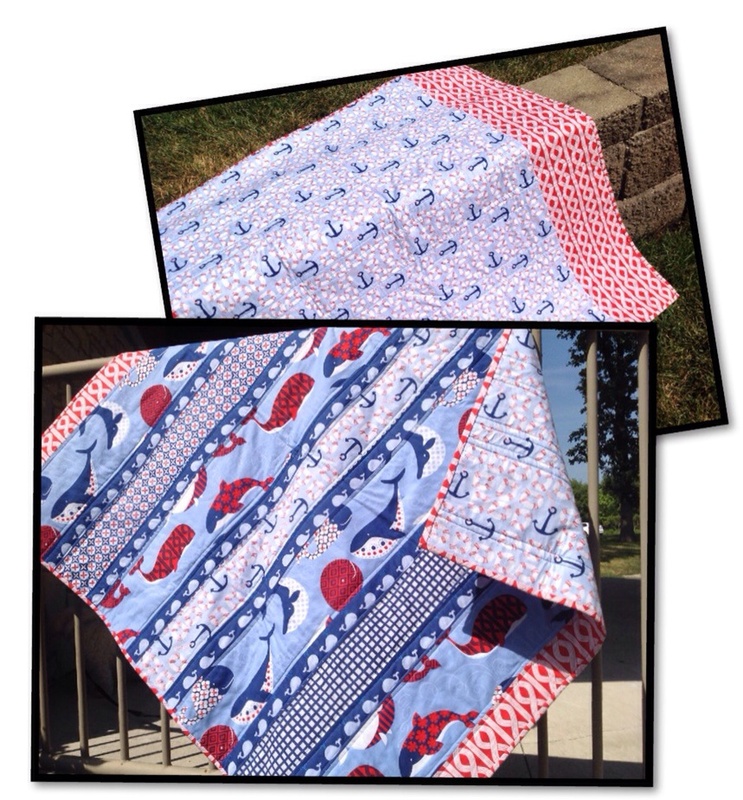 Point me in the direction of a baby who wouldn’t love a new Blankie in these adorable prints! Oh Boy! Elephants, cars, whales and giraffes! 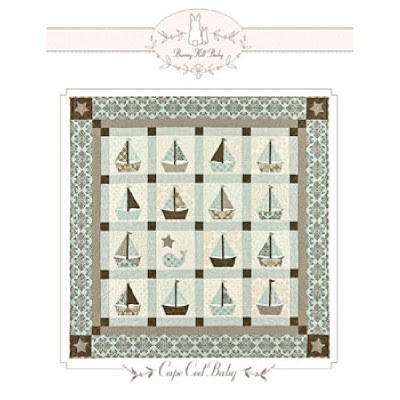 Let’s get baby’s feet wet with In The Ocean from Riley Blake. 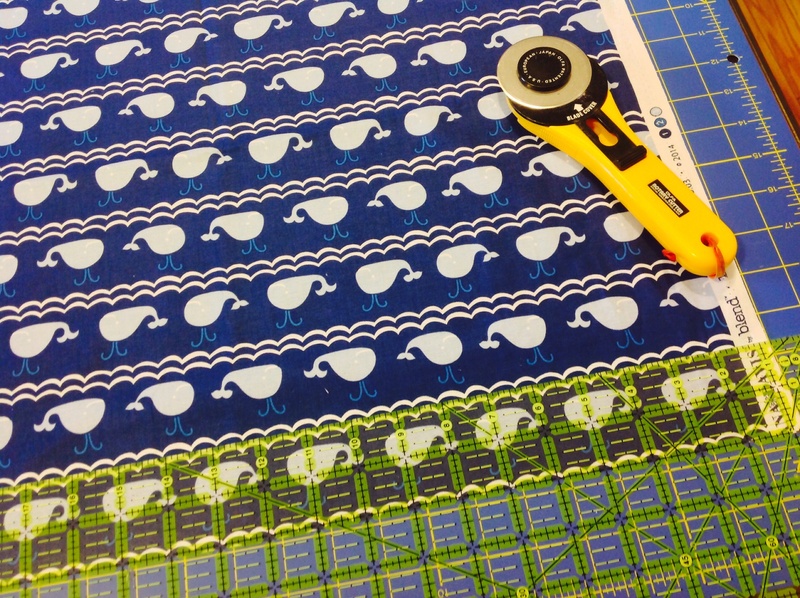 These sea friendly fabrics also have a matching panel to add to the ease of your project. And who can resist those cute little fishes! 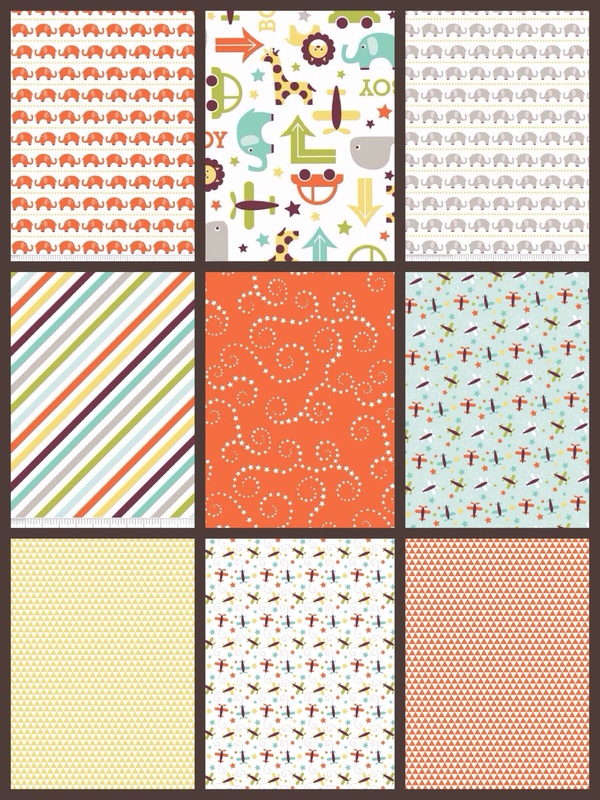 Look for these fabrics coming very soon to SewMod so that you can get started on your baby projects! 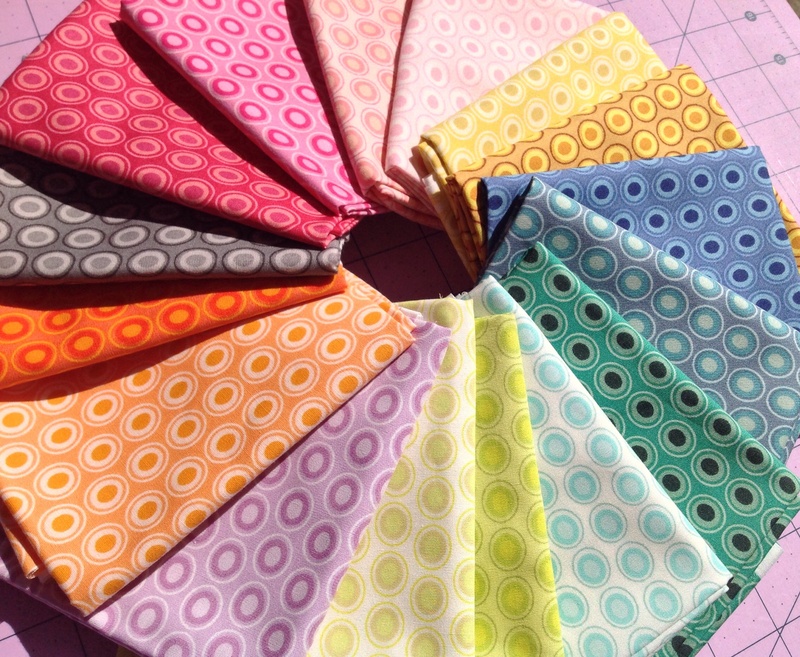 I’ve created a few more Oval Element fat quarter bundles from Art Gallery fabrics and I wanted to share them with you today. All of our bundles are available in the Etsy shop. These are like eye candy. I just wanna eat them up! 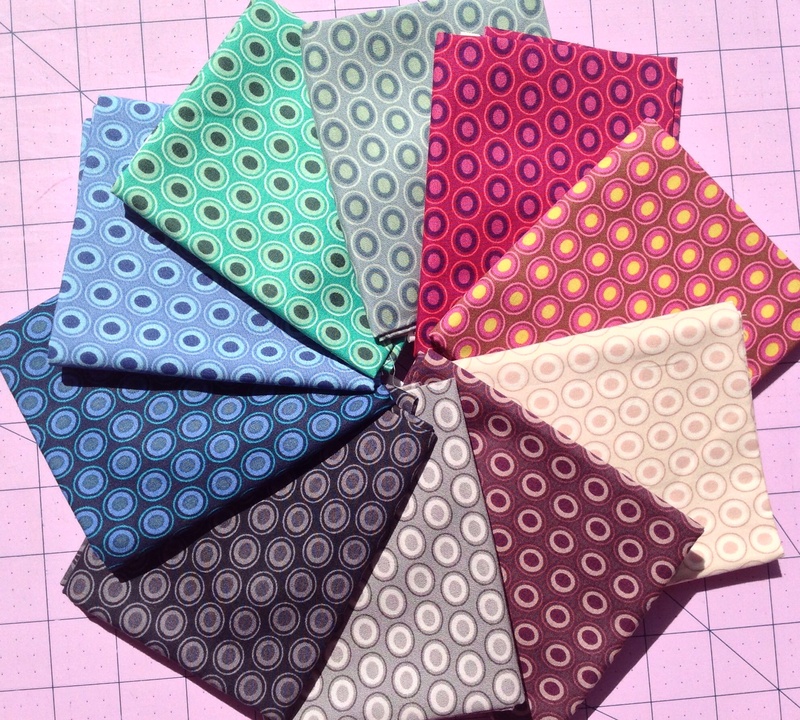 This fat quarter bundle of 16 has a range of colors, including my new favorite, Passionate Fushia. A smaller bundle of 11 is also available in this range. Looking for something with deeper colors? 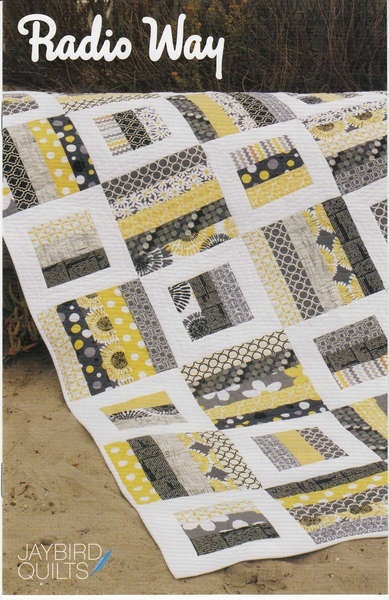 This set would make a nice addition for your fall quilting projects. Or maybe something that reminds you of a Arizona vaca, which seems to be the only thing I can think of lately so it’s no wonder I assembled one reminiscent of the southwest! And lastly..a bundle of tone on tones with 2 shades of each color. 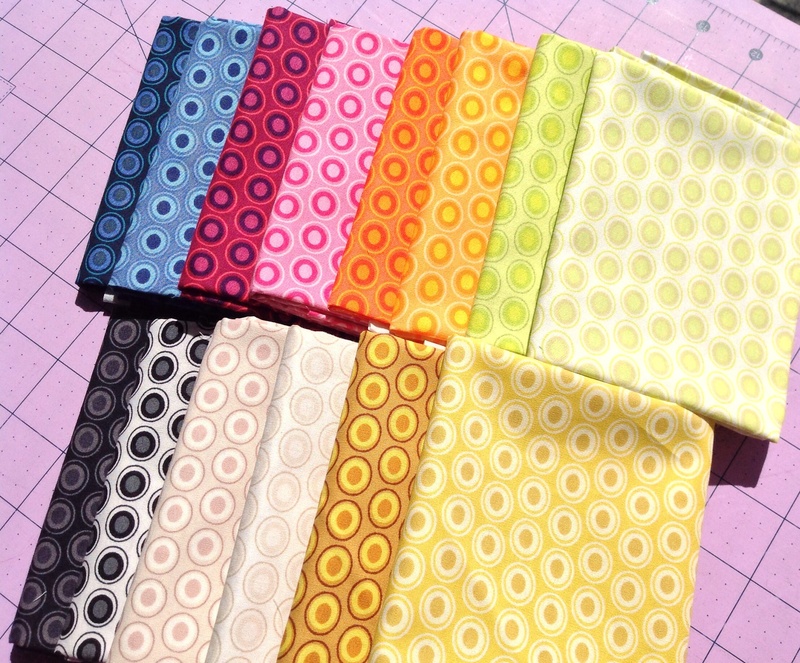 Oval Elements make great fillers for all your sewing projects, so visit us at the shop to get yours! We have these and many more ready to ship. 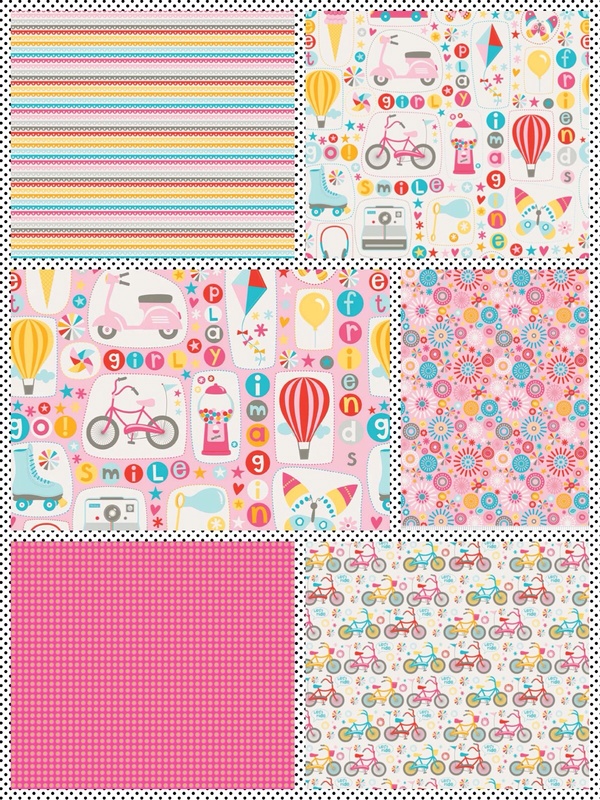 If you’d like to create your own fat quarter bundle, we’re also happy to help you do that too. Just convo us and we’ll help you get started.